Kelly Markgraf and Sasha Cooke in “As One”. Photo by Ken Cazan. The seventh cycle of the Composers & the Voice (C&V) program will conclude this month with Six Scenes, a concert of opera scenes created in the program by this year’s fellows. Performances will be held on Friday, September 12 and Sunday, September 14 at 7:30 PM, at South Oxford Space in Fort Greene, Brooklyn, home of AOP. 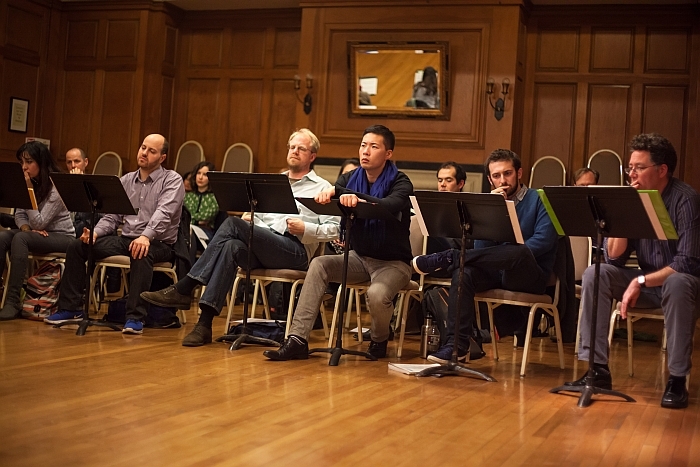 Manhattan School of Music and UCLA Herb Alpert School of Music opera directors will be on hand to select scenes for further development at their respective conservatories. Since its founding in 1988, AOP has been a driving force behind the revitalization of contemporary opera and musical theater in the United States through its exclusive devotion to creating, developing, and presenting new American opera and music theatre projects. Throughout its existence AOP has striven to bring compelling and innovative opera to New York City and the United States, and with the help of these grants, that mission will continue. Brooklyn, NY, August 21, 2014 – American Opera Projects Inc. (AOP) announces the appointment of Laura Kaminsky as its composer-in-residence commencing September 1, 2014, three days before her opera “As One” premieres at BAM in an AOP production (performances September 4, 6, and 7). In this role, Kaminsky will bring broad expertise to AOP enabling the Brooklyn-based company to expand its mission of identifying, developing, and presenting new and innovative works of music theater by emerging and established artists and to engage audiences in an immersive, transformative theatrical experience. As Composer-in-Residence at AOP, Kaminsky will serve as both a public face for AOP as well as a strategic partner, collaborating with the staff and board to articulate and implement a series of events and activities that will allow AOP to better serve the field while making AOP a more robust organization at this critical time when traditionally structured opera companies are increasingly vulnerable and yet there is an efflorescence of new opera activity. She will work with the General Director to identify projects that will be considered for development, and will plan a series of artistic events that will be of interest both to professionals within the opera world as well as to the general opera-loving public. Having just composed her first opera As One, Kaminsky will bring fresh insights and expertise from her experience of conceiving, collaborating, composing, developing and producing a new opera to the programs she will develop for AOP. At the forefront of the contemporary opera movement for a quarter-century, AOP creates, develops and presents opera and music theatre projects collaborating with young, rising and established artists in the field. AOP has produced over 20 world premieres including Nkeiru Okoye’s Harriet Tubman: When I Crossed That Line to Freedom, Lera Auerbach’s The Blind, a co-production with Lincoln Center Festival 2013. Other notable premieres include Kimper/Persons’ Patience & Sarah (1998), Stefan Weisman’s Darkling (2006), Lee Hoiby’s This is the Rill Speaking (2008), and Phil Kline’s Out Cold (2012) at BAM. 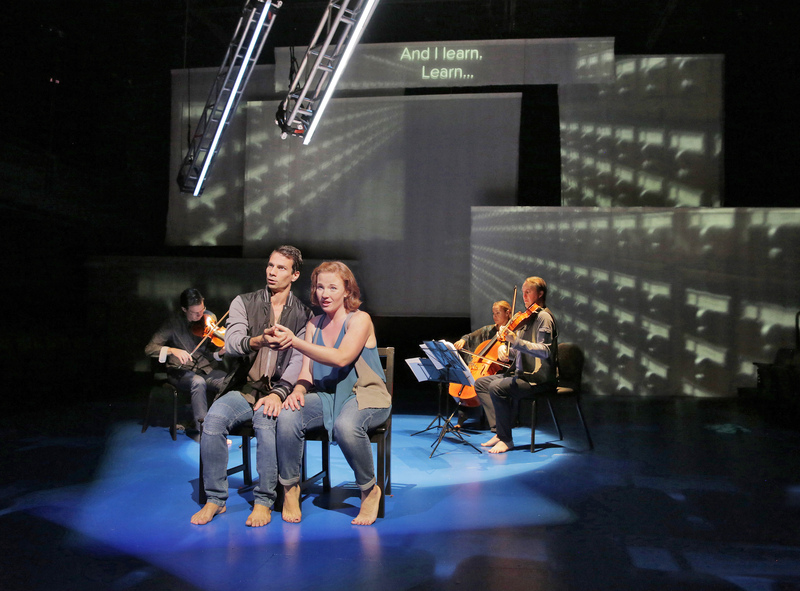 AOP-developed projects with premiere with collaborating companies: Gregory Spears’s Paul’s Case at Urban Arias (2013) and PROTOTYPE Festival (Jan 2014), Kamran Ince’s Judgment of Midas at Milwaukee Opera Theatre (2013), Jack Perla’s Love/Hate at ODC Theater with San Francisco Opera (2012), Stephen Schwartz’s Séance on a Wet Afternoon at New York City Opera (2011), Tarik O’Regan’s Heart of Darkness at London’s Royal Opera House (2011), Jorge Martín’s Before Night Falls at Fort Worth Opera (2010), Lee Hoiby’s This Is the Rill Speaking at Opera Memphis (2013) and Purchase College (2008). 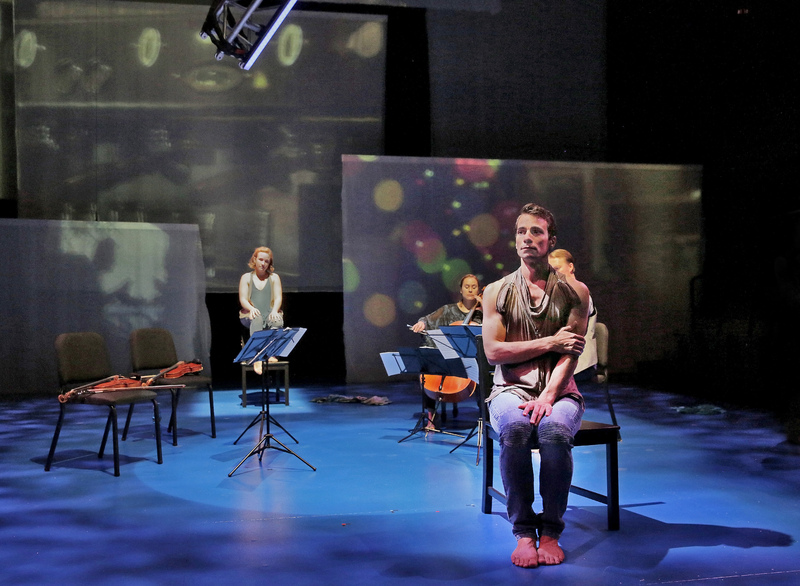 Upcoming: As One at BAM and Composers & the Voice: Six Scenes, September 2014. As both composer and presenter/producer, Kaminsky has received support from the National Endowment for the Arts, Koussevitzky Music Foundation, Opera America, New York State Council on the Arts, Aaron Copland Fund, Chamber Music America, American Music Center, USArtists International, CEC ArtsLink International Partnerships, Likhachev Foundation, Kenan Institute for the Arts, Artist Trust, Seattle Arts Commission, North Carolina Arts Council, Meet the Composer, and others. She has received six ASCAP-Chamber Music America Awards for Adventurous Programming and the Polish Ministry of Culture National Heritage 2010 Chopin Award. Kaminsky serves on the national advisory council of Cornish College of the Arts in Seattle and on the board of directors of the Hermitage Artist Retreat Center in Florida. She is a professor in the School of the Arts at Purchase College/SUNY. You are currently browsing the Have a Voice blog archives for September, 2014.